France Retires 30-Year Service Life Mirage 2000N Jet. 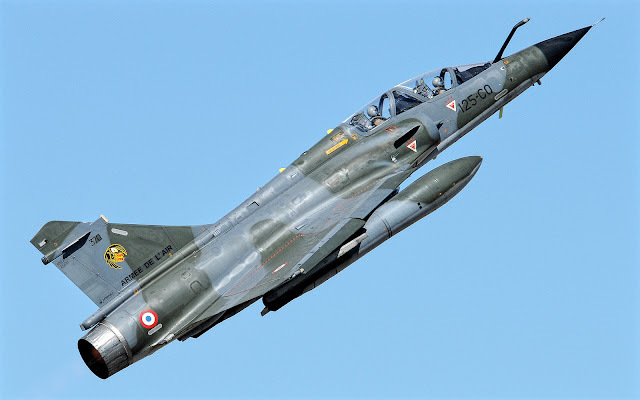 The French air force has withdrawn the last of its Dassault Mirage 2000Ns, closing a useful life of 30 years that amounted to more than 350,000 hours of flight. Three examples, especially in livery, participated in a ceremony at the Istres air base on June 21 to mark the milestone. Introduced to operational use since 1988 in the role of strategic deterrence, the Mirage 2000N was equipped with ASDA nuclear missiles from MBDA, in addition to conventional ammunition for air-surface attack missions. Paris acquired 75 of the variant, as replacements for Mirage IV of the Air Force. The rest of the aircraft will be transferred to the air base of Châteaudun for use as spare parts to support operations with other Mirage 2000 variants of the French air force, which include fighter C, D and -5. The combat honors for the Mirage 2000N force included participation in operations in Central Africa, Iraq, Kosovo, Libya and Syria.